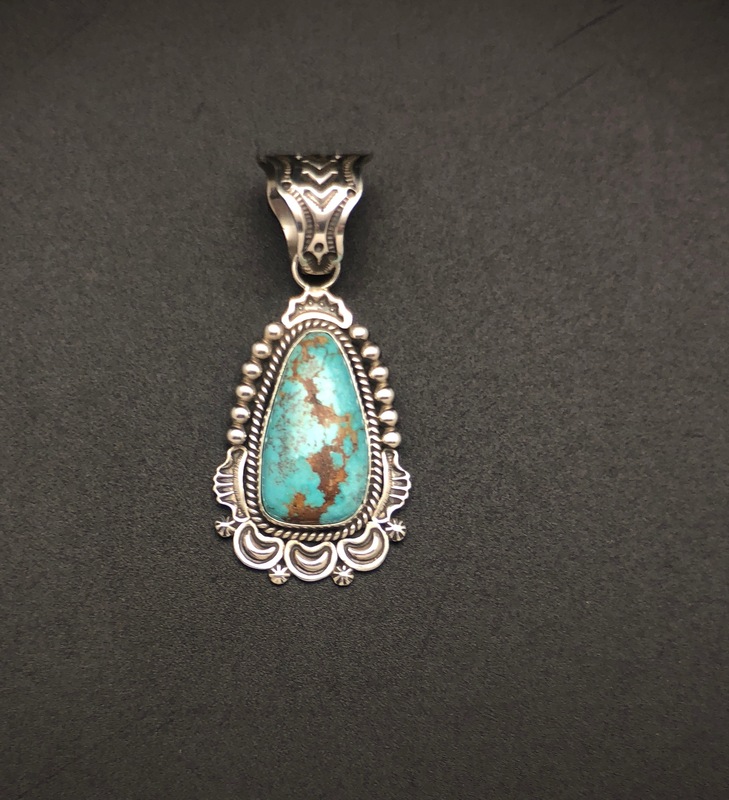 A very rare opportunity to own this one of a kind Pendant featuring 1 piece of Royston Turquoise The stone is mounted with a smooth bezel then set on a very integrate hand wrought sterling silver mounting using a combination of twisted round silver wire and hand stamped silver designs . 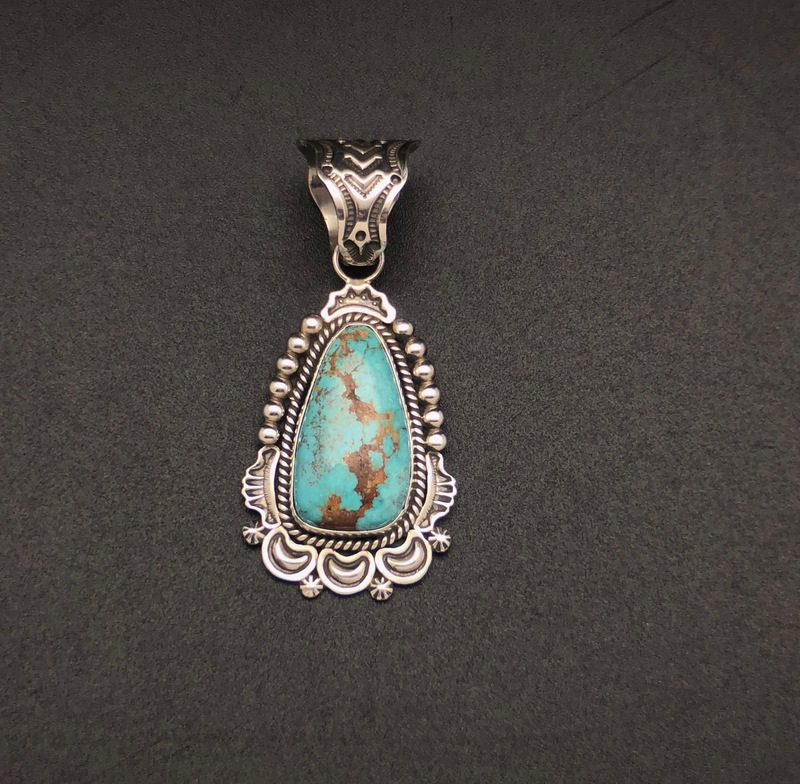 Pendant is approximately 3 inches by 1 1/2 inch wide. 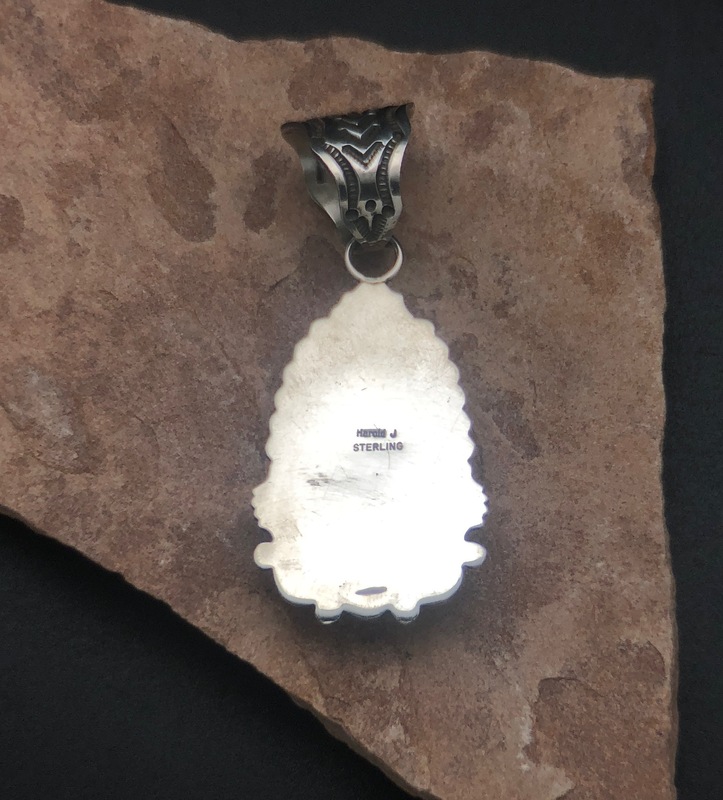 The bale is also hand stamped and is as much a work of art as the pendant. The stone is a magnificent tear drop shape that will will be the feature piece in any collection. 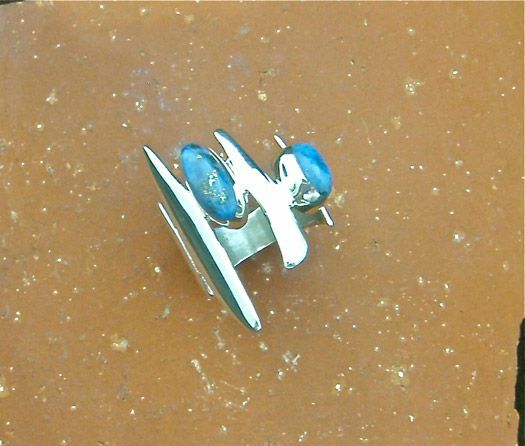 Completely hand crafted and signed by acclaimed Navajo artist Harold Johnson. 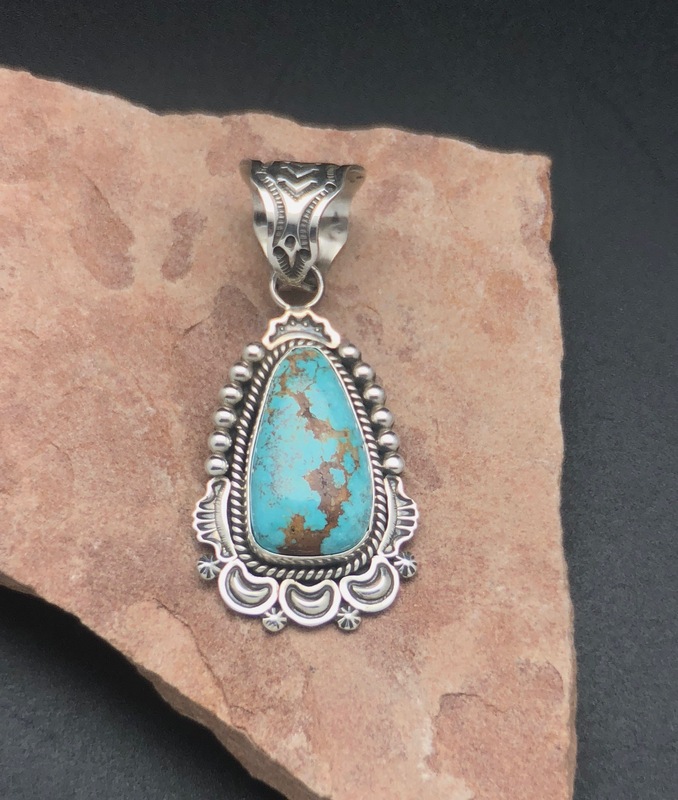 Share the post "SWS 129 AUTHENTIC NATIVE AMERICAN HANDMADE ROYSTON TURQUOISE PENDANT"